Lodge and Cabin Pendant Lighting is a great way to infuse a little rustic flair into your decorating plans. Many of our American Made lodge pendants come in a variety of finishes and glass lens options, so you can customize your pendant to fit your needs. Extra chain and wire can be ordered for most of our pendants to ensure that you have all you need to place your new pendant in your home. Choose from wildlife and outdoor themes, art glass pendants, Spanish style iron pendants and more. Many of our pendants also have coordinating sconces, and other lighting fixtures available, so if you are looking for a collection that matches exceptionally well, just let us know! We also have several wet location pendant lights, you can hang these items outside or in damp locations as they are all U.L. listed and approved. LodgeCraft has provided pendant lighting for homes, cabins, and commercial projects through North America, since 1988. 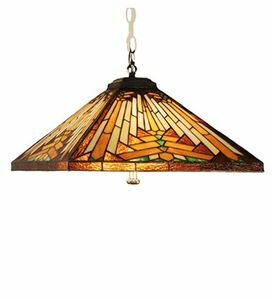 Medium Mission Downlight Pendant - 20"
Small Mission Downlight Pendant - 17"
Large Mission Pendant - 20"
Los Feliz Cottage Chain Pendant - 14.5"
Los Feliz Grande Cottage Pendant - 20"